Erl and I put in a container garden at her place last year, experimenting with square-foot gardening, a technique I learned as a kid. 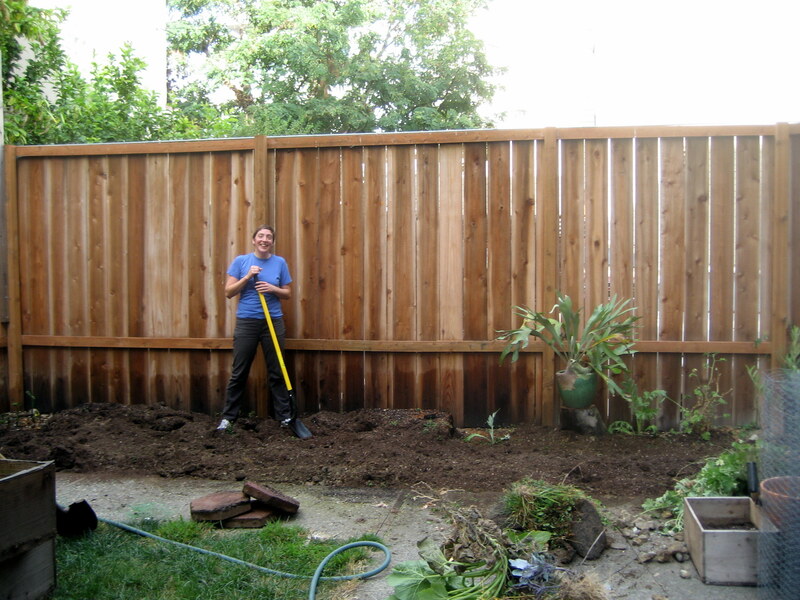 We had some success, but Erl decided it was time to take the plunge and expand her growing space to the entire side section of the yard. So, this weekend, we rolled up our sleeves and dug in. Literally! Before/after pics and more description at Erl’s blog.